THOMAS COUNTY, Ga. — Authorities are investigating an officer involved shooting after a deputy was hit and pinned between two cars during a pursuit. On Tuesday, the Georgia Bureau of Investigation was requested by the Thomas County Sheriff's Office to conduct an officer involved shooting investigation involving a Thomas County Sheriff's Office deputy. The initial investigation revealed that a Thomas County Sheriff’s Office deputy attempted a traffic stop on US Hwy 319/Georgia Highway 35, when the driver of the car, 45-year-old Stephen Clark, refused to stop. Deputies then pursued Clark to Georgia Highway 122 where they initiated intentional contact with Clark’s vehicle to try to stop him. Clark continued to flee and traveled to Skyline Drive where deputies initiated another intentional contact with his car. Clark’s vehicle spun and stopped in the roadway on Skyline Drive. A Thomas County deputy then got of his patrol vehicle and tried to use his taser to stop Clark. Clark drove away, hitting the deputy with his vehicle and pinning him between a patrol car and the van he was driving. A second deputy on scene, fired his pistol at Clark. Clark was not hit, but the van he was driving was. Clark sped away, continuing to drive away from deputies. The deputy that was hit by Clark’s vehicle was taken to the hospital with non-life-threatening injuries where he was later released after examination and treatment. 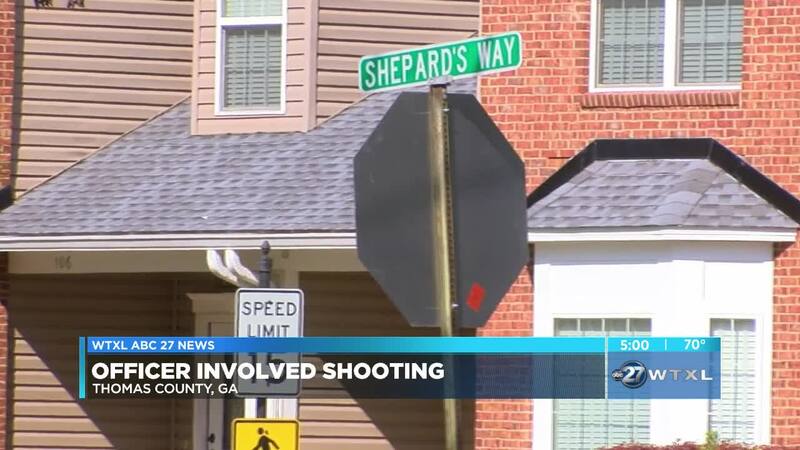 Clark eventually wrecked his vehicle into a home on Sheppard’s Way a short distance away. Clark then ran on foot and actively resisted arrest by deputies. He was finally arrested and taken to the Thomas County Jail. It was later reported that Clark was found to be in possession of suspected drugs during the booking process at the Thomas County Jail. Those charges are being handled by the Thomas County Sheriff's Office. Agents and deputies are in the area continuing to identify and interview witnesses and collect evidence related to this incident. This case is active and ongoing. Anyone with information is urged to call GBI Thomasville at 229-225-4090.